June, 1957. One afternoon, in the backwater town of Sutton, a young black farmer by the name of Tucker Caliban matter-of-factly throws salt on his field, shoots his horse and livestock, sets fire to his house and departs the southern state. And thereafter, the entire African-American population leave with him. The reaction that follows is told across a dozen chapters, each from the perspective of a different white townsperson. These are boys, girls, men and women; either liberal or conservative, bigoted or sympathetic - yet all of whom are grappling with this spontaneous, collective rejection of subordination. In 1962, aged just 24, William Melvin Kelley’s debut novel A Different Drummer earned him critical comparisons to James Baldwin and William Faulkner. 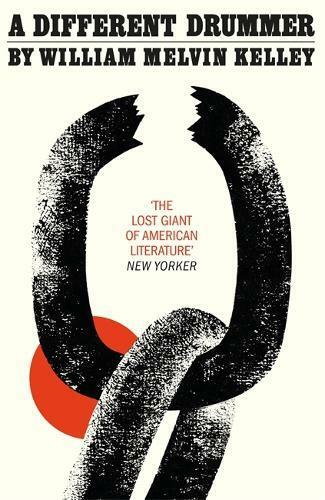 Fifty-five years later, author and journalist Kathryn Schulz happened upon the novel serendipitously and was inspired to write the New Yorker article ‘The Lost Giant of American Literature’, included as a foreword to this edition.